Founded on the Island Province of Asara in the capital city of Starras, the Decavi are a group of generalist magic users. Unlike the mages of the Academy, the Decavi strive to master magic in a broader sense with greater flexibility and diverse understanding. Instead of focusing on one specialization of magic, on one arche of spells, the generalist mage finds access to all of the arche and a wide range of formulae. With the unleashing of enchantments and the cataclysm of magics during the Age of Silence, the Decavi have taken a more adaptive philosophy with casting. As the realm entered the Age of Remembering and the techniques for magic were rediscovered, a mage by the name of Decamerain brought to light the way of the generalist. 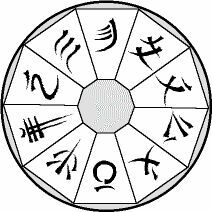 To the specialist mage, the Decavi seem unfocused, undisciplined, even chaotic. Magic is an open palette to be used by the general mage whereas the specialist sees only the shades of a single color. Because of the difference in "school" of magic, the Decavi find rivalry with most Academy mages. Though the Academy is interested in the generalist technique, its interest remains academic for the two arts are not compatible in formulae, in research, or in practice. Therefore, according to the precepts of Decamerain, magic is a free art. To this day, the Decavi strive to bring the magical arts to those with talent. With some success, the Decavi have converted a number of specialist mages to the ways of the generalist mage. Unlike the Academy, who keeps much of its power sequestered, the Decavi are open with their formulae and with their knowledge.